Sukhjit Malhi is in custody after being charged with breaching a court order and possession for the purpose of trafficking fentanyl. 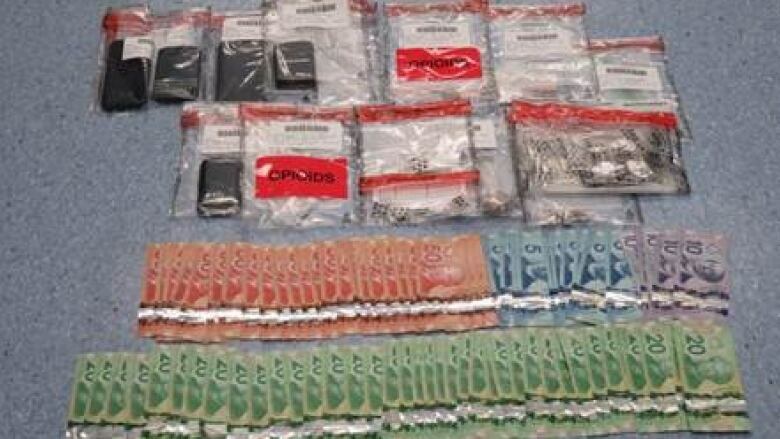 Abbotsford police have seized drugs, thousands of dollars in cash and two vehicles in the arrest of a 19-year-old gang associate. Police said Sukhjit Malhi is in custody after being charged with breaching a court order and possession for the purpose of trafficking fentanyl. During the investigation leading to Malhi's arrest, Abbotsford police seized cocaine, fentanyl, cell phones, $2,500 in cash and two vehicles. "We believe that disruption of the Lower Mainland Gang Conflict and their drug trafficking at all levels is a top priority and is crucial to improving our public's safety," said Sgt. Vic Gamboa of the Abbotsford Drug Enforcement Unit in a statement.